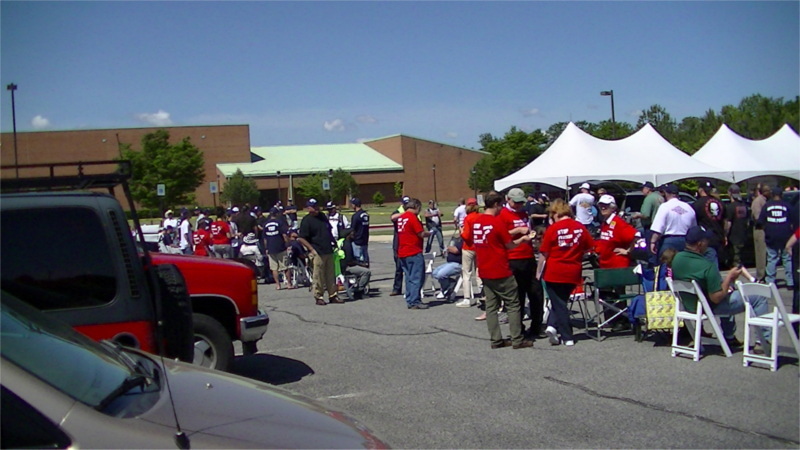 On the 31st of May, FERC held their one and only hearing in Lusby, Calvert County for local residents who will be affected by Dominion Energy's proposal to convert the old Cove Point LNG import plant to a fracked gas export facility. The hearing was carefuly stage-managed to make each opponent of the project think they were alone in one of the most corrupt processes I have ever seen. 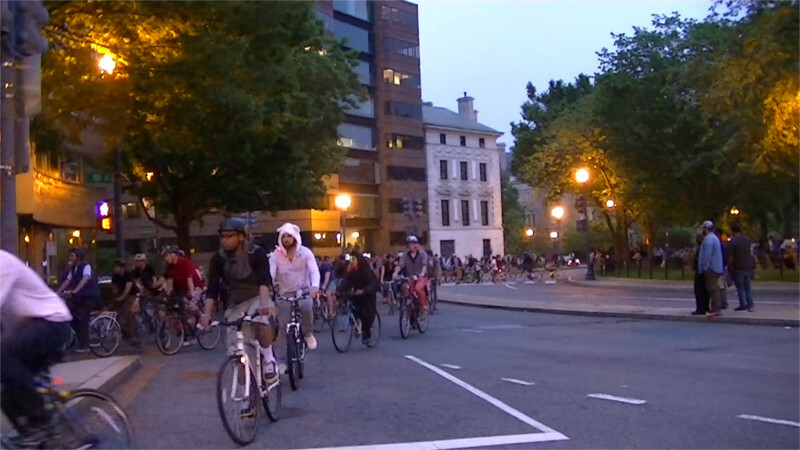 The May 30, 2014 Critical Mass bike ride drew a good crowd with a lot of new riders. 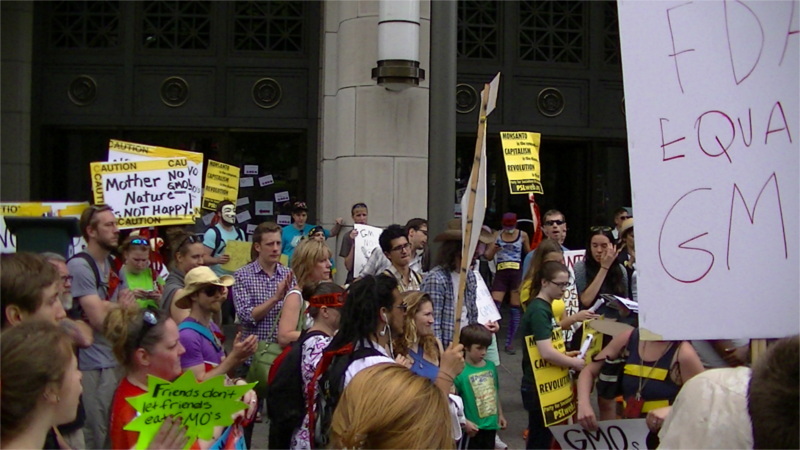 On the 24th of May, there were Marches on Monsanto in many cities. Here in DC the march took the streets, marched on Monsanto's lobbying headquarters, and left its mark with a blizzard of stickers on Monsanto's doors. 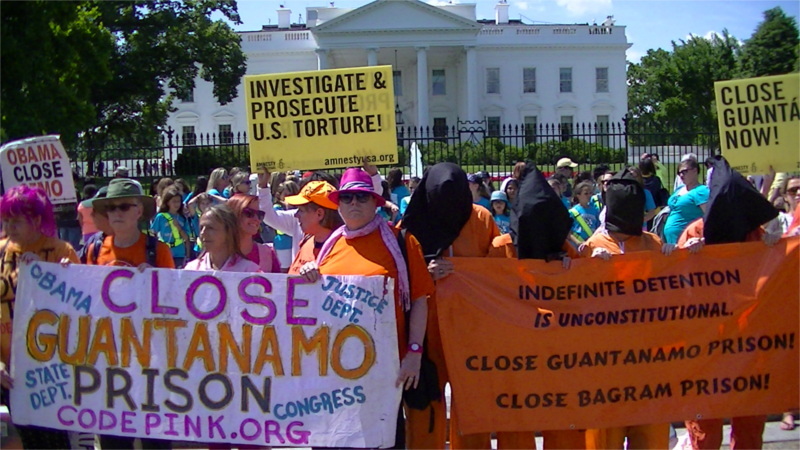 On the 23ed of May, the 1 year anniversary of an Obama speech promising to close Guantanimo Bay, torture survivors and peace activists showed up in front of the White House to call Obama out for this repeatedly broken promise. Pope Francis welcomed members of the global Jubilee movement to the Vatican on Wednesday as they were received for high level meetings with Vatican Secretary of State Cardinal Pietro Parolin and Cardinal Peter Turkson, head of the Pontifical Council for Justice and Peace. The Catholic Church, various Christian Churches, Jewish groups and trade unions founded the global Jubilee campaign that successfully cancelled more than 130 billion dollars in sovereign debt and has won tax policies to benefit people living in the poorest countries of the world. by: CLAYTON HALLMARK The situation between Russia and the USA almost has reached a state of “hot” war. Usually that is what happens when anyone threatens America’s dollar hegemony, which really is its hegemony. Russia and China soon may arrange for payments on their huge natural gas deal (and later a huge petroleum deal) to be made in OTHER THAN DOLLARS – a “RED LINE” for which lesser countries have been invaded and their leaders killed by US forces.Russia is the second-largest producer of dry natural gas and third-largest liquid fuels producer in the world. 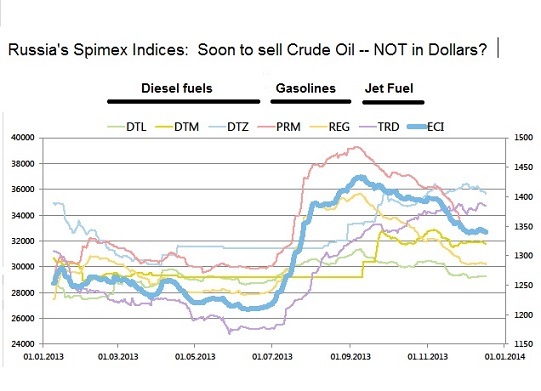 Russian SPIMEX Oil Product Indices -- Soon will include Crude Oil, possibly add Russia's ESPO oil benchmark to existing world benchmarks Brent (North Sea, world) and WTI (Texas, USA). On the 19th of May, Obama appeared at a fundraiser in ultra-wealthy Potomac, MD. 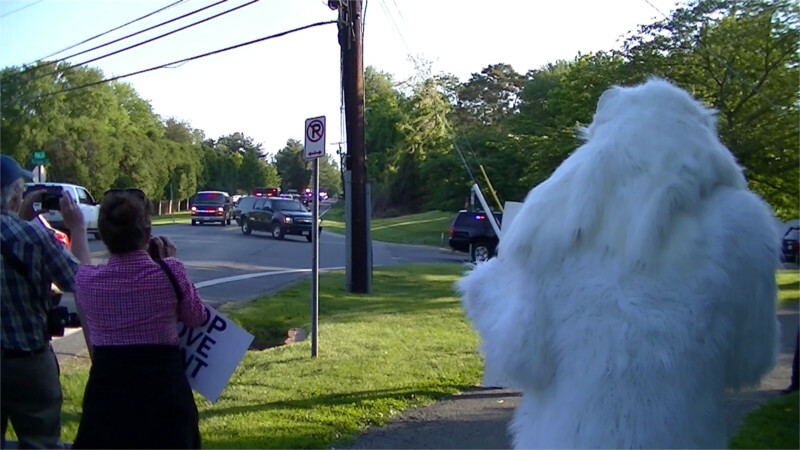 Activists opposing the Keystone XL and favoring clean energy were there to greet his motorcade. Meanwhile, traffic backed up for miles as Secret Service forced Montgomery County police to shut down both MacArthur Blvd and Falls Road for that motorcade. 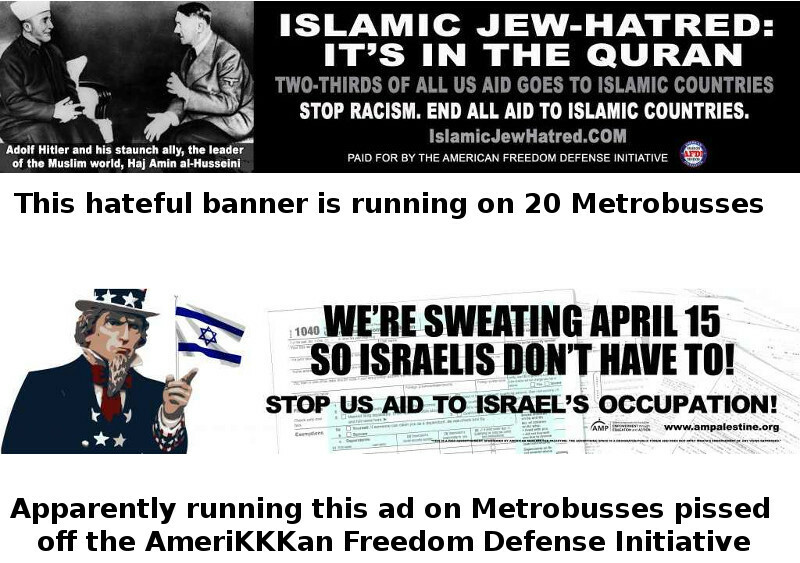 On the 19th of May, large advertisements appeared on the sides of Metrobusses showing a picture of Adolf Hitler and claiming the Quran calls for such hatred. The ads are running on the sides of 20 Metrobusses, barring overlying graffiti or mechanical problems taking them off the road. On the 17th of May, Climate First! 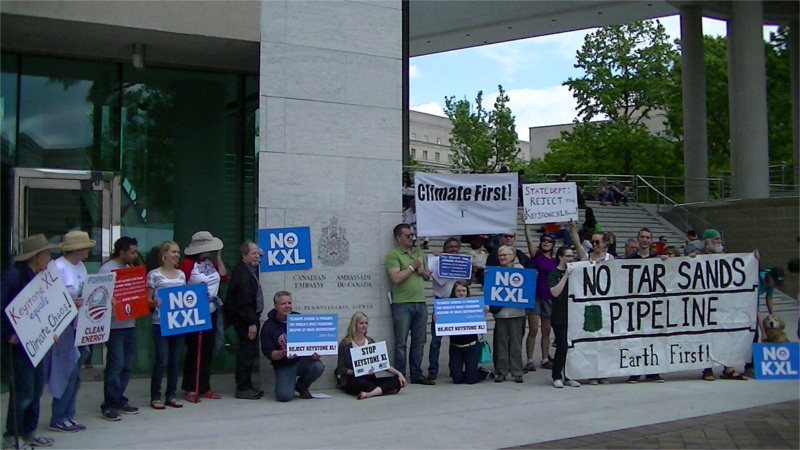 showed up at the Canadian Embassy with signs opposing the Keystone XL tar sands pipeline. This was part of a continent-wide "hands across the land" day of action against the pipeline, with events taking place all over Turtle Island. 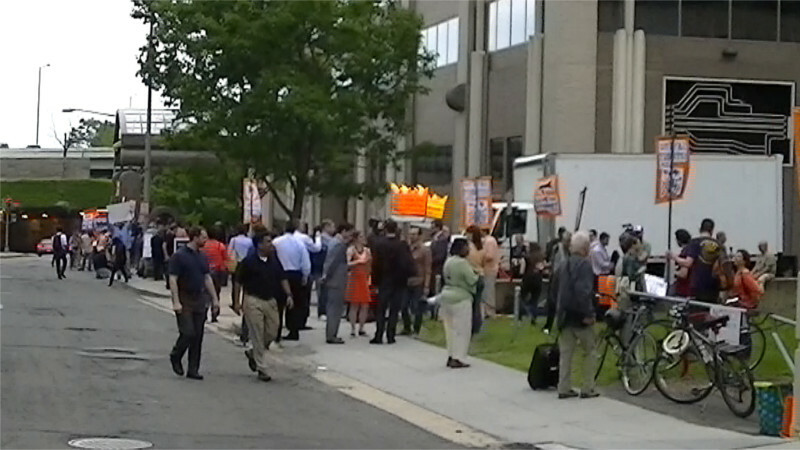 On the 15th of May, protesters banged bucket drums and bells outside the FCC while commissioners gathered to vote on "paid prioritization" of content. Ignoring the sound of people's anger from outside, and ejecting four activists who got into the hearing, they voted 3-2 to permit "paid prioritization" of content. 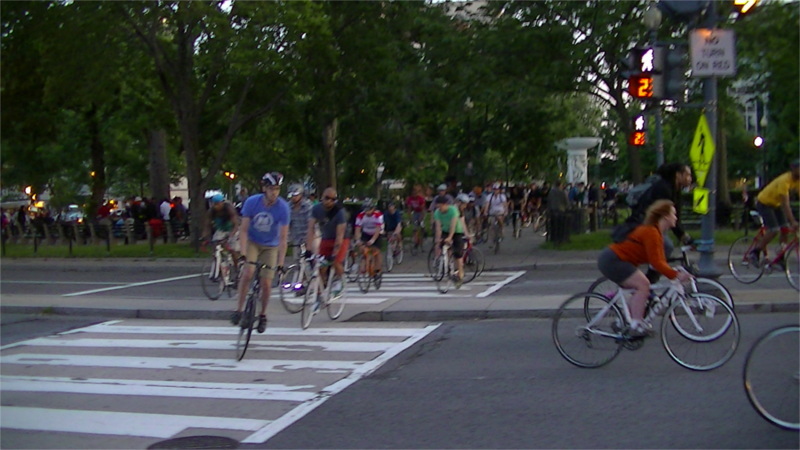 On the 14th of May, hundreds of bike riders showed up for the DC Bike Party, which takes place the 2nd Wednesday of every month.